If you’ve been following my food blog for a while you know that I am fascinated by finding out the story behind each food I make. While not all of them have a dramatic or reality altering (can you imagine?) 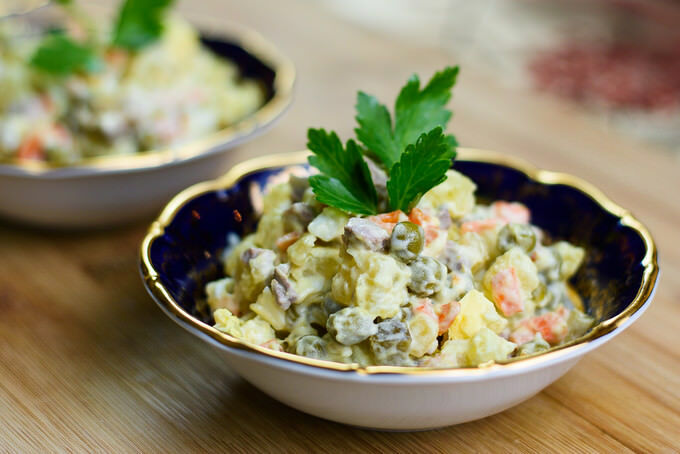 history attached to it, nevertheless, Russian salad has an interesting story and some controversies behind it.